How much should I explain to my students? I probably wouldn't explain, hey, this is what we are going to do if someone comes into our school with a gun shooting people. There is no need to frighten our students unnecessarily. Think about how you explain fire drills and severe weather drills and go from there. 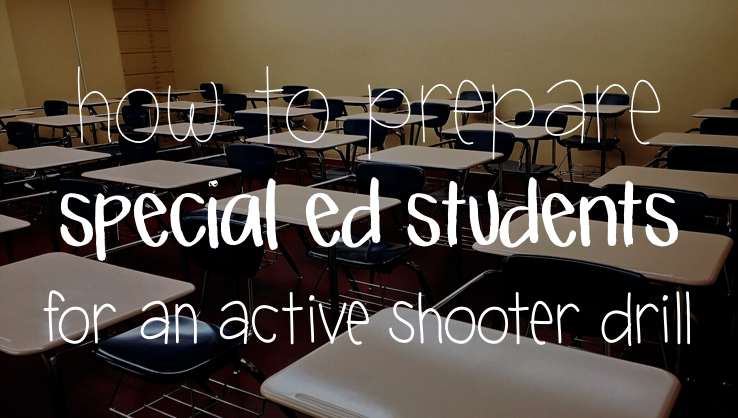 You probably don't explain how a tornado could knock down your school, so you don't need to go into that much detail about an active shooter drill either. I would probably say something like, "We want everyone to be safe at school, so sometimes we practice being safe in different ways. It's very important to listen and follow directions during this drill." Obviously, you know your students best and what they can handle. 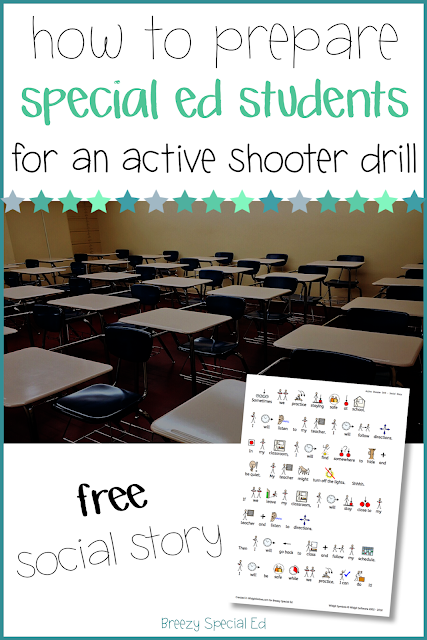 How can I keep my students quiet and calm during the drill? If you are staying in your classroom some ideas are: headphones (with or without music), suckers or other types of candy, iPads/smartphones (with headphones), fidgets, and other preferred activities. Use visuals and social stories to explain what you are doing and what you expect from them during this time. Grab this free social story HERE. If you are practicing an escape route, candy and headphones are quick and easy options while en route! These drills are an essential time for you as a teacher to think about what you would do if that situation is real. Talk about it with your staff. If you had to fight, what could you and your staff use? If you could run, where could you go? How would you transfer students in wheelchairs - would it be easiest to push their chairs or pick them up and go? Where is the safest place for your students to hide? 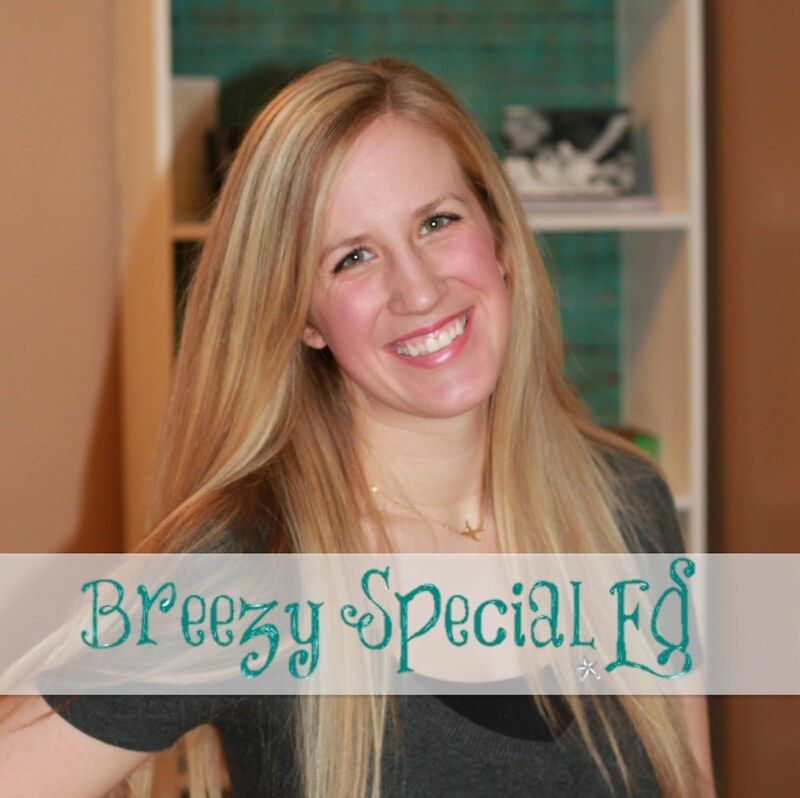 I hate that I had to write this post. And I pray that everyone reading this post never experiences a situation like this. But I hope that everyone feels prepared and able to help their students while practicing for these situations. If you have any other helpful ideas, please leave them in the comments! I too am saddened with the thought that these days we must prepare for unusual and frightening events, but I am grateful for people like you who provide practical advice. Thank you for writing this blog and the social story. I think while some of these ideas are helpful it depends on your district. In our district wevtrain students using ALICE. They are to assess the situation, flee is able and buy time if needed and lastly defend themselves if they have too. Students are told exactly what is expected. This is for an active shooter.